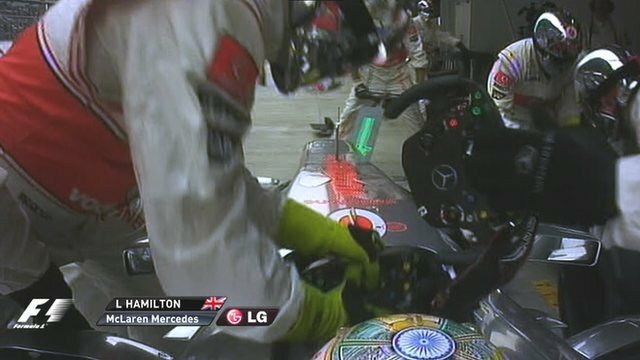 Nico travels back in time. Not long ago, Formula One drivers only wore leather caps. The development over the past decades has been stunning. Today’s helmets are state-of-the-art technology. 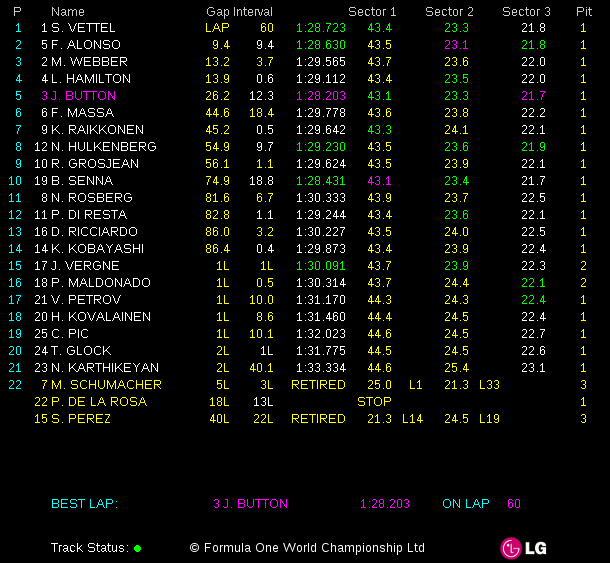 Sebastial Vettel wins the Indian Grand Prix 2012. Title contender Fernando Alonso and team mate Mark Webber join him on the podium and the press conference. 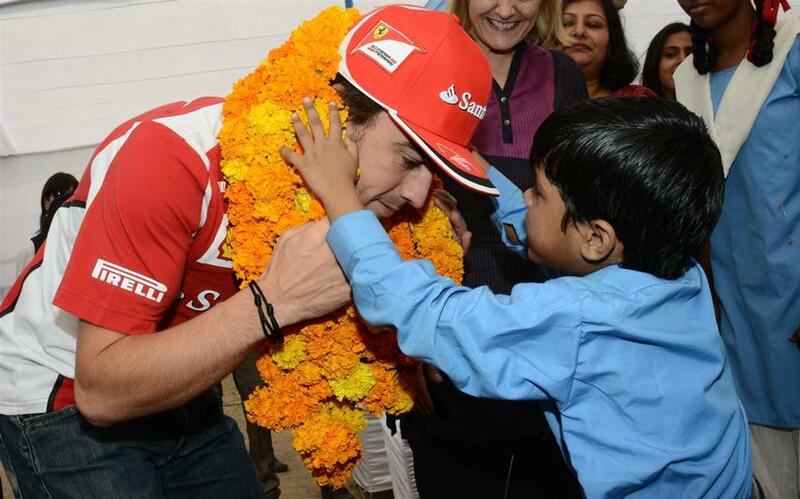 Ferrari driver Fernando Alonso, in his role as a UNICEF ambassador, visited a school in Turgapur to take part in the charity’s ‘Handwashing Day’ campaign, aimed at encouraging people to wash their hands using soap in a country where over a 1000 children die every day from diarrhoea caused by a lack of drinking water and basic sanitation. “It’s very important to explain the importance of this procedure, which is so straightforward for us, but often impossible in a country where many families don’t have a bathroom in the home and sometime they don’t even have a home at all,” said Alonso. “It is even more important to put out this information through schools, because children are a very important part of our society and the solution is not complicated, nor does it cost much. There was a lot of chat this morning about the Formula One Opus, which was launched at the Oberoi Hotel in central Delhi last night. 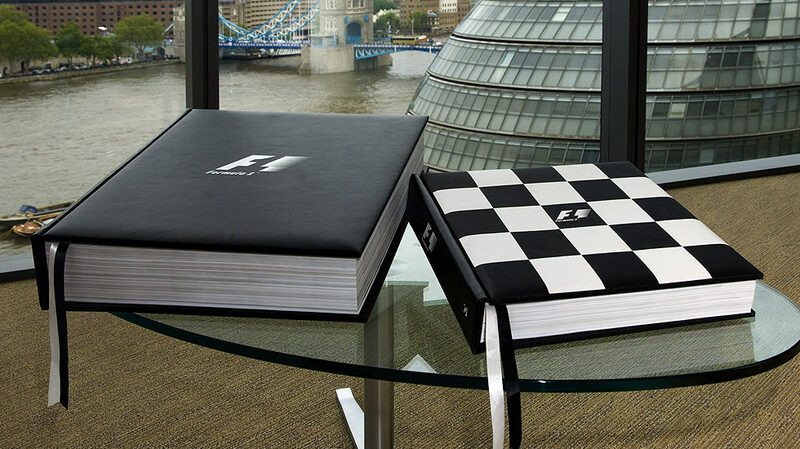 Work on this fantastic tome began in 2006 and it chronicles every year of the F1 Championship since 1950, using never-been-seen-before photographs and some of the best writers in the history of the sport. A limited number of copies have even been signed by every living world champion and you can buy one , as long as you have a cool £20,000 to spare… Yes, you read that correctly. Formula One can be considered as one of the most dangerous sport in the world. The most recent near-fatal accident is in 2009 Hungarian Grand Prix where Felipe Massa was seriously injured after he got struck by a spring. As a result, a Zylon strip has been added to the visor area of the helmets. Zylon has 1.6 times the tensile strength of Kevlar which is able to provide sufficient protection for the drivers’ heads. 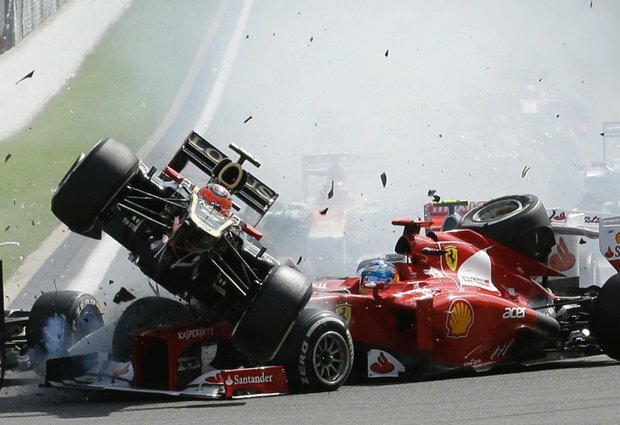 Another infamous accident is the first lap crash in 2012 Belgian Grand Prix where Fernando Alonso is very lucky to have a near miss with the airborne Romain Grosjean’s Lotus and as a result, Grosjean was given a one race ban. Also, not to forget the epic flip from Mark Webber in 2010 European Grand Prix in Valencia. 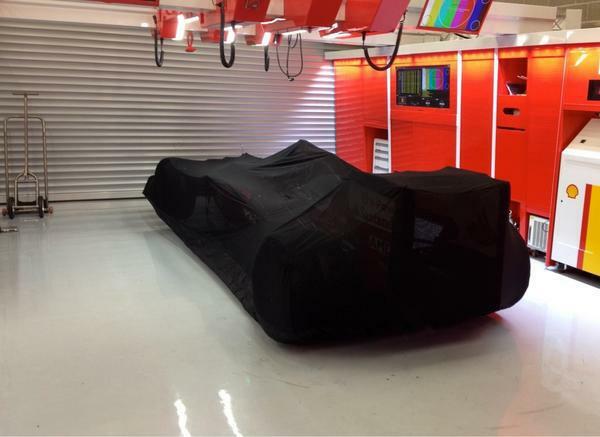 Safety concerns have been raised again after Belgian GP and discussions have been made whether to cover the cockpit with a canopy. FIA Institute has been researching to improve driver-cockpit safety. One of the tools used is a nitrogen gas cannon which can be fired at a pressure of 1200 psi. 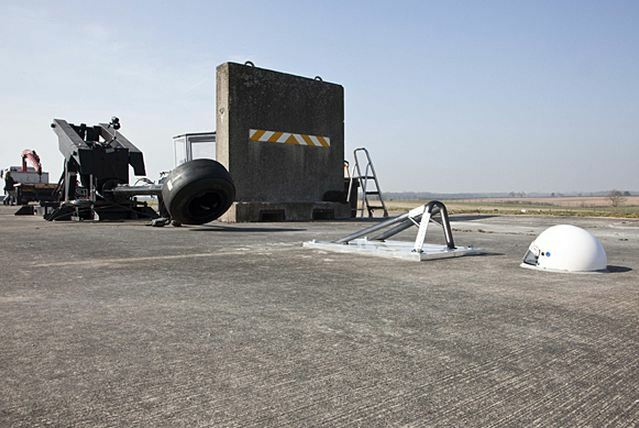 The test is conducted by firing a F1 tyre at about 225 km/h towards a polycarbonate windshield and a fighter jet canopy. You can see the windshield shatters but the canopy still remain intact. Another tests is conducted by firing a F1 tyre at 225 km/h towards a forward roll hoop. This is the most promising safety feature to be incorporated in a F1 car without causing a closed cockpit. 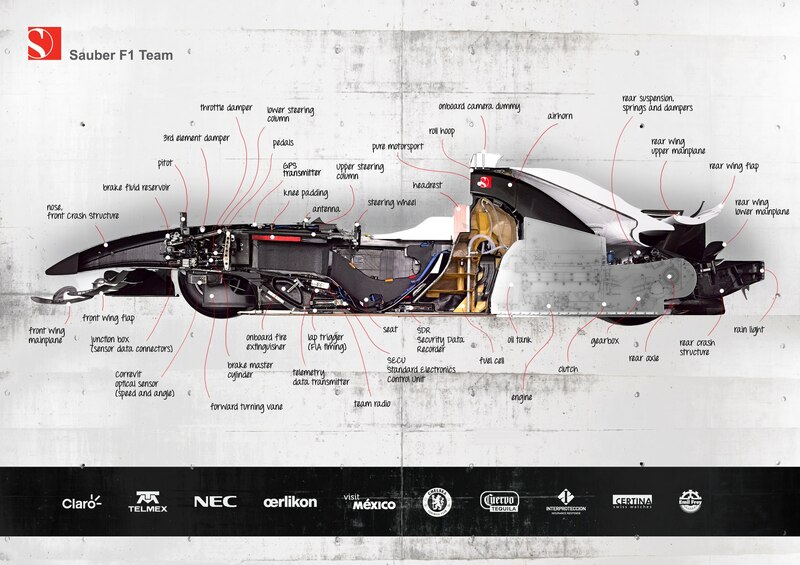 Here is an infographic for the all the internal components on a modern F1 car. Click to view it in full size.